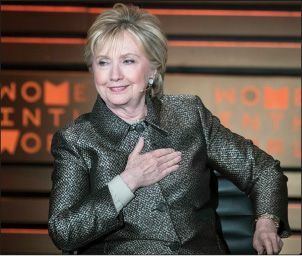 I’m glad Clinton “refuses to disappear,” said Michelle Goldberg in Slate.com. After suffering “an epochal, humiliating rebuke,” she still wants to fight for her values and programs that advance women’s rights, which is inspiring. Besides, Clinton is “clearly right” about the misogyny. Studies show that ambitious men are often well-liked, but in women, ambition engenders deep suspicion. Clinton had a 65 percent approval rating as secretary of state; it was only when she decided to seek “the highest office in the land” that her popularity plummeted.